The PC-3000 technology is getting more and more popular among law enforcement and forensic agencies around the globe. Everyone who started using the PC-3000 products in the forensic field, has realized that the PC-3000 can be a key to success when you need to obtain digital evidence from a physically damaged storage media where the data seems inaccessible. 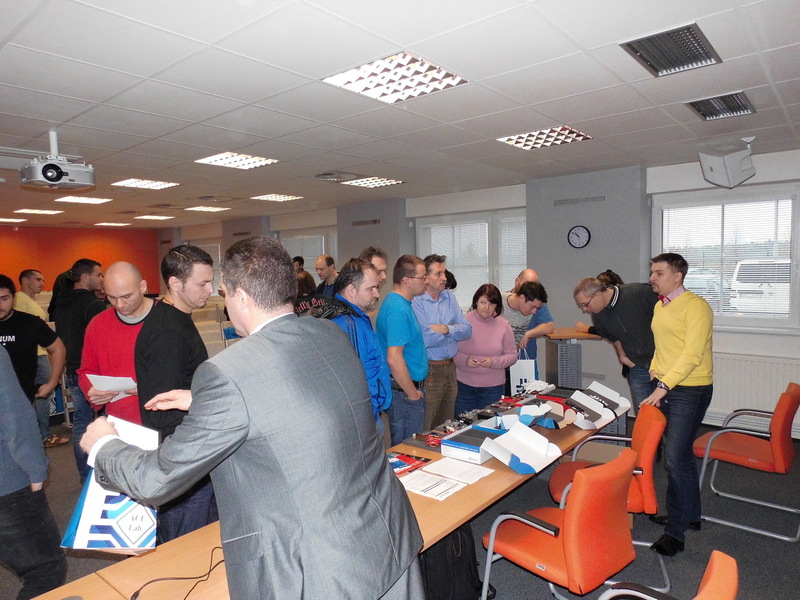 ACE Lab was invited to a closed event held by the Police of the Czech Republic on the 9th of December, 2015. It was a meeting of forensic experts and organizations involved in the forensic area. At this meeting, the team of our Prague branch, ACELab Europe s.r.o., shared our achievements with other participants and helped them to learn more about the opportunities of using the PC-3000 in the law enforcement sector. All the attendees were keen to ask questions about the PC-3000 and to exchange their experience, knowledge and ideas about the challenges in digital forensics and data recovery fields. The growing interest in the PC-3000 Technology among forensic specialists is a clear evidence of increasing awareness about the role of professional data recovery in computer forensics.